There are many things we could do, as a church in this community, but if we are not making disciples of Jesus Christ, we will be outside God’s will. We should spend our resources (time, gifts, and money) fulfilling God’s purpose for His church. The answer is: We’re here to worship Jesus and follow Him. When we leave this building, we are to walk obediently with Him and testify regarding His presence, that He is alive, by what we say and what we do. That may sound simple, but there has been a movement in Christianity over the past several decades, that has the Church off track. It is called the church-growth movement. Church growth sounds good, but the idea in this movement is that corporate strategies can advance the kingdom of God. That may succeed in bringing in more people and money, but does not necessarily make disciples of Jesus Christ. Growing a church or having an outreach isn’t a bad thing, but it is the Lord who grows the Church. This movement has misdirected the Church away from its Source of Life and growth, which is Jesus, and turned it instead to worldly purposes and plans. Let me repeat my answer to the question about why we are here, which applies to every believer, church, and outreach: We’re here to worship Jesus and follow Him. And we can’t possibly worship our Savior and follow our Lord unless we begin in His presence. When the Lord is present, He saves people and causes the Church to grow numerically and spiritually. It’s easy for even the most dedicated Christian to drift from his purpose of worshipping and following Jesus. No Christian or church will ever be misdirected, misguided, or off track if they start out in Christ’s presence and never leave it. Following the Lord means being Jesus-focused, Jesus-centered, and Jesus-empowered. Jesus is the Alpha and the Omega—the Beginning and the End of all things—and that applies to our lives and ministry. He has to be everything to us. There is no division of labor in God’s kingdom. We’re all called to share the Gospel and make disciples of Jesus, not disciples of ourselves or any denomination. But we can’t accomplish this task by following worldly plans. I’ve attended some church-growth seminars. Ministers are encouraged to implement the plans presented in the seminar instead of sitting in Jesus’ presence and following Him. These seminars appeal to some church leaders. After all, it’s a lot easier to strategize using our own plans than to stay in God’s presence, trusting Him for everything, including the growth of His Church. To be clear, when I speak of being in God’s presence or getting direction from God, I’m not talking about a mystical experience. We tend to think of “God’s presence” as a feeling, or an emotion, or a supernatural moment. All of these things can accompany God’s presence, but they don’t define it. God’s presence is simply Himself, His being. We don’t need any kind of experience for His supernatural presence to be a reality in our lives. If the Holy Spirit is residing in us, we always have God’s presence. When Jesus came, He changed how we experienced God’s presence. The Son of God came to earth as an exact representation of the heavenly Father’s nature. Through Christ, we actually saw the presence of God. Jesus revealed exactly what God is like—how utterly full of love, grace, mercy, power, truth, and righteousness He is. Even more incredible is that we share in His divine nature, through the Holy Spirit who lives in us. A transformation takes place and continues when we confess Jesus as our Lord, repent of our sin, and give our life to Jesus through baptism. So, what does it mean, exactly, to have God’s nature in us? It means we don’t have to try to be holy; we are holy, by virtue of His presence in us. We don’t have to try to be acceptable; we are made acceptable to Him by the blood of Jesus. We don’t have to try to be good; we are already good by His divine nature, which resides in us through His Spirit. However, if we don’t have the Holy Spirit, we are none of His, because God’s nature is not in us. None of us are completely like Christ yet, but we have this potential. We are being transformed into His image from one degree of glory to another while we remain in His presence. Becoming intimate with Jesus and staying in His presence are the goals for our life that we should be pursuing. One thing I do: forgetting what lies behind and straining forward to what lies ahead, I press on toward the goal for the prize of the upward call of God in Christ Jesus. Let those of us who are mature think this way, and if in anything you think otherwise, God will reveal that also to you. Although we are free from condemnation, we are never totally free from mental battles. That is why we must strain and press on toward the goal. The struggle is with Satan, who continues to tempt us and distract us, trying to steal the joy or our salvation, and render us ineffectual as witnesses and ambassadors of Jesus Christ. As we immerse ourselves in God’s Word, eventually His promises become stronger in our minds than any message the enemy sends. His authoritative Word breaks the chains of fear, doubt, and unbelief that hinder us. Here is another aspect of God’s presence in us: having the mind of Christ. No matter what mental battles we face, our stance is always one of victory, because we live and move in God’s presence. Even on our worst days we’re held together, propped up, and put at peace by the life and mind of Christ within us. These battles with Satan work for our good when they cause us to spend intimate time in the Word, in prayer, and in the presence of Christ. The more time we spend in the intimate presence of Christ, the more He prepares us to do His works. Intimacy with Jesus is the beginning of our empowerment to do His works on earth. We simply can’t move forward in those works without being in His presence. So how can we be intimate with Jesus and stay in His presence? 1. MEET with your Savior in prayer. Commune with Him. Tell Him what is on your heart and listen to Him speak to you. 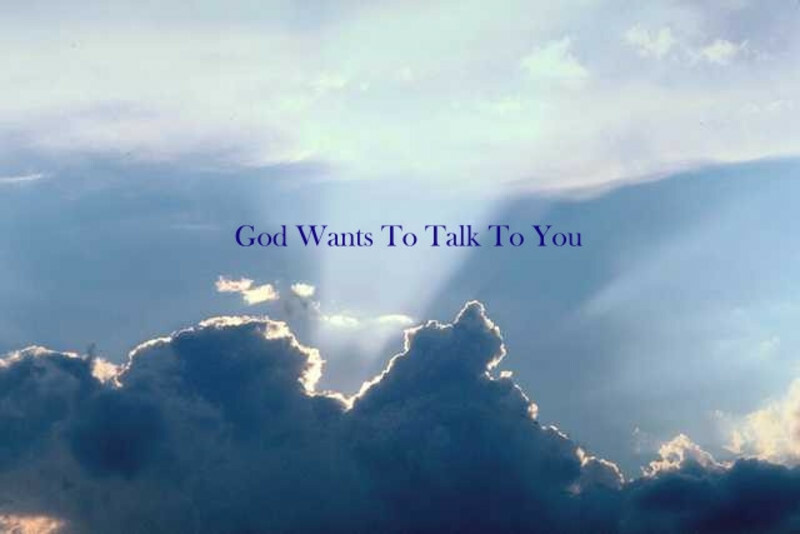 Have a constant, obedient conversation with Him about everything throughout the day. Be joyful always, pray continually, give thanks in all circumstances; for this is God’s will for you in Christ Jesus. 2. READ His Word and let it renew your mind to think like Jesus. God has recorded many promises to you in His Word. Trust them and live obediently according to the conditions He has set to receive those promises. 3. ASK the Father to fill you with the Holy Spirit. Then the presence of God will be in you. The Holy Spirit is faithful to guide you according the will and purpose of God. He will empower you to do the works of Jesus. 4. Constantly FOCUS on Jesus and become aware of God’s abiding presence at all times and in all places. This begins with constant attentiveness to His Words—listening, trusting, and obeying. Therefore, since we are surrounded by so great a cloud of witnesses, let us throw off everything that hinders and the sin that so easily entangles, and let us run with perseverance the race marked out for us. Let us fix our eyes on Jesus, the author and perfecter of our faith, who for the joy set before him endured the cross, scorning its shame, and sat down at the right hand of the throne of God. Consider him who endured such opposition from sinful men, so that you will not grow weary and lose heart. 5. Continually WORK at this relationship as much or more than we work at other relationships with spouse, family, and friends. Intimacy with Jesus and the presence of Christ is result of doing these five things. Consequently, we will have the mind of Christ. We will worship and follow Jesus in joyful, peaceful, loving ways, exhibiting all the fruit of the Spirit. And people will see Jesus in us and in the church. That is how we continue to lift up Jesus so He can draw all people unto Himself. Once we become intimate with Jesus and are in His presence, we are never lonely, we never need sympathy, and we can pour out in service without ever being “burned-out”. The saint who is intimate with Jesus will never leave impressions of himself, but only the impression that the love, joy, and peace of Jesus is present in Him. Do you desire intimacy with Jesus Christ and His presence? Desire is a powerful word: desire is a burning, longing, craving, hunger, yearning, an appetite, passion, or love. Being a worshiper and follower of Jesus, is a process that begins with a desire for intimacy and the presence of Jesus. Desire drives people. We pursue what we love and desire. Some people desire fame, wealth, romance, success, happiness, etc. Desire drives people to make choices and changes in pursuit of their goal. For example, Paul was a disciple who heard the voice of Jesus, had the gifts and the power of the Holy Spirit, and received marvelous revelations from God. In spite of these wonderful spiritual experiences, Paul still had a great desire to know Christ and to become intimate with Him. Paul wanted to share everything with Jesus, including His sufferings. Therefore, desire is at the heart of a worshiper and follower of Jesus. Unfortunately, some people simply lack a desire to follow Jesus. They do not want to deny self or take up a cross daily. That does not appeal to them, so they make no effort or sacrifice to have an intimate relationship with Jesus in order to be in His presence. Worshiping and following Jesus, loving God, being filled with His Spirit are all choices we make. We will not choose these if we do not desire them. If we love anything, anyone, or ourselves more than Jesus, we will make our decisions and choices according to whatever or whomever we love more. That is why Jesus said we cannot have two masters. Is Jesus your master or are you the master of your life? Every day we choose. Our choice is based on whom we desire, whom we love. It is a daily choice to deny self, pick up a cross, and follow Jesus. What do you choose this morning? What will you choose tomorrow? If you have never decided to follow Jesus, you can do that today by publicly confessing your faith in Him as your Savior and your Lord. Repent of your sin and your independence. Begin following Jesus by submitting to His command to be baptized. Then you will be born again of the Holy Spirit, who will lead you into God’s presence and an intimate relationship with Jesus Christ.